Come join ARPCA’s Porsche Touring Crew for a visit to North Country Brewing in Slippery Rock. Nestled in the heart of downtown Slippery Rock, the brewery has a long and fascinating history. 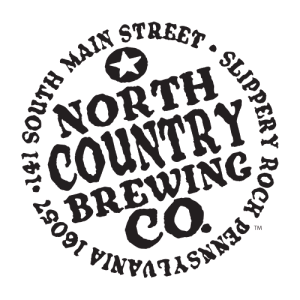 When owners Jodi and Bob opened the doors to North Country Brewing Company in 2005, they couldn’t have expected the support and demand for good craft beer that Slippery Rock had. Over the years, our brewpub has featured over 100 different types of beers, ranging from traditional reds and stouts to more outlandish and experimental brews such as bacon-flavored brews and chai tea infused ales. North Country’s food offerings are very diverse and wide-ranging. Everyone can find something to like on the menu. The Porsche Touring Crew is an informal group that hosts luncheon events, and is always looking to add ARPCA members and their guests. The event is no cost; however, attendees must pay for their own lunch. Plan on arriving at around 11:30 am. Registration for this event is through MotorsportsReg (MSR). Click on the Register Now link below to sign up. Registration closes on July 21. For more information on the North Country Brewing event contact Tom Mueller (ermtcm@verizon.net), or Wayne Desbrow (wdesbrow@zoominternet.net).